Today, an unpaid fine can cause serious consequences. First, when the traffic police will send all your outstanding fines the bailiffs who can forbid you to carry out any actions to register, pass tech inspection machines, or limit travel abroad. Secondly, if you are stopped by the employee of GAI, and you will have newplace fine, which is already overdue from 40 to 70 days, you can prosecute (arrest for 15 days), or asked to pay a fine of twice the size. Before to know about their fines could only be in the office of the traffic police – to either come himself, or to call the operator. Now many people have the opportunity to view your outstanding fines right at home with the help of SMS or via the Internet. It should be noted that while this information on fines is available to citizens who are registered on the territory of six regions: Voronezh oblast, Voronezh oblast, Tula oblast, Stavropol Krai, Krasnodar Krai and Republic of Adygeya. To view your fines you will have to log on to the web site "My fines". There is a possibility to find data or exact a penalty by entering the number of the issued decision, or to see all of the fines of a particular driver by entering the number of machines and the number of driver's license. But all the fines your neighbour to learn will not work, because in addition to the state numbers of the car, you will have to learn and ID number of the driver. Also drivers have the opportunity to directly from online to print a receipt for payment of the fine in the Bank. Learn the penalties of traffic police and using the SMS. This requires to send a message to the room 9112 traffic Police to number your vehicle number the driver's license. When using services for each unpaid fine will be charged for five rubles. Unpaid fines bring a lot of trouble. The debt to collection send bailiffs. They can impose limitations on the inspection and all registration actions with a vehicle, to prohibit travel abroad. - Call the Department of administrative practice of traffic police in your area. - Get lost receipt of fines to the traffic police in your area. - Call the bailiffs in your area of the office. Name name and address (if the debt has passed for penalties). 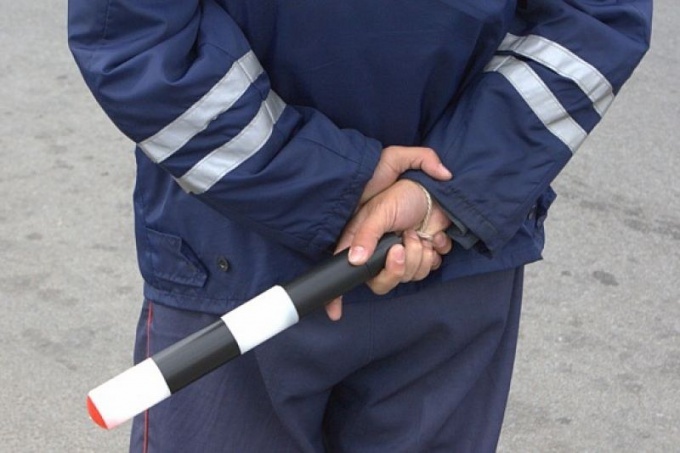 Learn unpaid fines can be made online on the portal "Public services" - http://www.gosuslugi.ru/. Sign up. Enter data: INN, home address, phone number, insurance number of individual personal account, etc. will Receive a letter in the mail with the activation code. The delivery time to two weeks. Enter the activation code on the website to complete registration. Find out information about unpaid fines in the section "fines". Find out information about the unpaid arrears (penalties) in the section "taxes". Sign up, enter your information: INN, name, region. Log in to your "personal Cabinet of the taxpayer". Find out information on debt transport, land and property taxes. 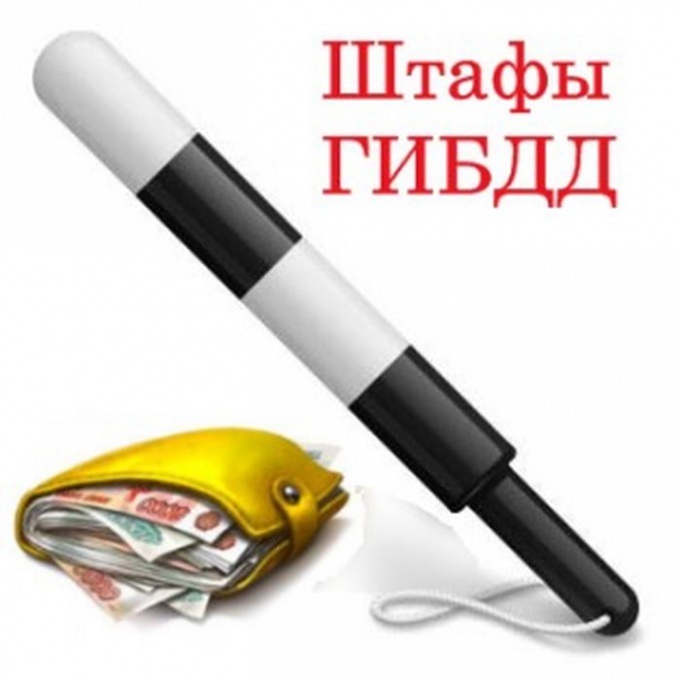 Learn income tax (for Russian citizens). 1. Enter data: name and place of registration or passport data and INN, or the number of enforcement proceedings. 2. Find out information about the debt, about how her charge. 1. Check the debt on housing, traffic, taxes, alimony. 2. Find out credit history, the ability to travel abroad. Find out about debt on payment of a fine. Information updated every day. The service is useful for eight regions. Automotive fines – a headache of the majority of car owners, as not all remember the amount of fines to be paid and their amount. Unpaid and forgotten fines can cause serious problems, such as lack of opportunities to travel abroad. Today you have the option of using the Internet to always be aware of their fines to the traffic police and the time to repay the debt. You need to register on the portal of state Services.<url>. The advantage of this portal to many unofficial sites is that it you will officially be able to have access to databases of traffic police after their registration confirmation. The main difficulty in using this service is that your registration will not be immediate and quite long – since the site is the official online network of government bodies, you will need to wait for receiving the confirmation of registration by ordinary mail of Russia. Such measures are necessary to identify and prevent fraud and using other people's names when registering. The procedure of registration on the website is simple – you need to enter all the data, including passport. However, some users do not know what to enter in the field "INN" - not everyone knows your personal tax code, as well as not all have it. If you still have no INN, please contact the tax office to get it – without the INN you will not be able to register on the site. * Wait for the email with the registration confirmation code and then terminate it, and then log in using your individual account. In order to check the traffic police fines, enter the license plate number of their vehicle and driver's license number and verify all the data. To find out their fines on the number of machinesyou can use the portal of public services Gosuslugi.ru. If you have registration on it you can get this information, among other services available in the user's personal account. The vehicle must be registered to you. If you control them by proxy, to learn about them outstanding fines can only be the owner. - a vehicle's license plate. If you have no account on the portal of state services register. This is a free and easy process. The login site serves as your certificate of state pension insurance. Enter username, password and a numeric code proposed by the system in those fields. In the list of public service providers, select the interior Ministry, and the number of available options within the framework of its competence "to Learn about the accrued fines". On the link you will be taken to a page with fields to enter the license plate of the car and the number and series of driver's license. If you want to know the penalty for number, enter all its components strictly in the fields intended for each of them, and click the button "Check". The system will give results with respect to all fines issued to the vehicle if it is the owner of the number you. Residents of the Samara region has got the opportunity to learn about their fines through the Internet one of the first in Russia. In test mode the service of such a plan earned in the region in 2009. Available to its residents the opportunity to learn their fines through the Federal portal of public services. Go to the home page of the regional portal of public services http://www.gosuslugi.samara.ru or http://www.gosuslugi.samregion.ru. If you do not have Internet access at home, while in Samara you can use the Internet kiosk. The right side of the main page, closer to the center you will see a link "Electronic services. Penalties and offences traffic police checking the readiness passport". 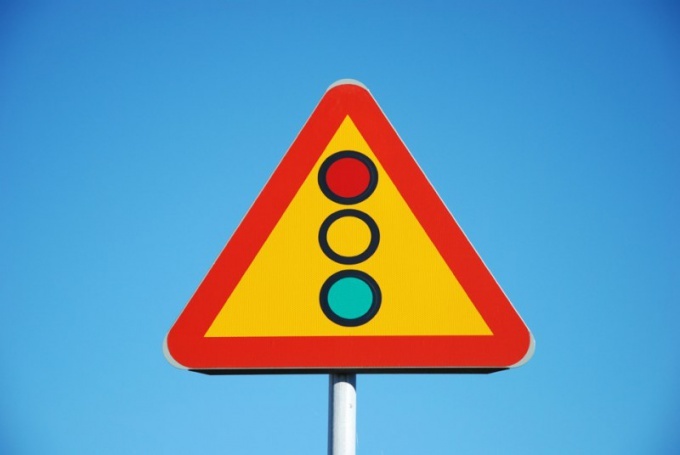 Click and select from the list of available services traffic fines. Further from the driver is required to enter your surname, name and patronymic, date of birth and select the document, which will go search rights, Protocol or resolution of the fine). Having received information on fines, you can immediately send it to your email address or print a receipt for the payment of the required amount in the savings Bank. The algorithm for obtaining information about the penalties at the Federal portal of public services is the same for the whole of Russia. You log in, choose the number of services provided by the interior Ministry, information about the assessed fines, and then enter the license plate of the car or the series and number of his driver's license and click the button "Check". Traffic fines - an insidious thing. They accumulated for a long time. And if there will be too much, you can even come bailiffs. So if you don't remember where all of your resolution on the payment of fines, try to find information about your debts by any means available. Systematic unpaid traffic fines can lead to unpleasant consequences in the form of a prohibition of travel abroad, or a visit to your home by bailiffs. If you do not remember the sum of all of its debts, then there are several options, as you can see this figure. The first option is to learn through the traffic police. For this, you can drive up to any stationary post of traffic police and ask his staff to check the number of your driver's license, and fines. They can ask for and a receipt for payment. Another way is through the Internet. You can search the required and interesting information on the official websites. Such as, for example, gosuslugi.ru or the official website of the security service of the road. System in response to your request will be offered to fill the required information in the fields. You usually need to fill in the surname, name, patronymic, home address, and driver's license number. The system will give a complete answer to your question. Alternatively, you can check through the court bailiffs. You need to come to the Department at the place of residence and ask them to check you. They will say whether there is debt and in what amount. To check your outstanding fines on the road by phone. For this you need to send a TEXT message to the phone number 9112, text, traffic, space, number of vehicle, space bar again, no driver's license. The cost of this service - 40 rubles. In searching their debts, remember that all the debts that you listed on the basis of the traffic police, can be charged. This happens in cases when the penalty is less than 1000, and since its adoption it's been 3 years. After this period, the small fines are written off due to expiration of limitations. Fines from traffic police - what often occurs in practice. But many motorists get it so often that I can't even remember exactly how much they should pay for their offense. But in vain! 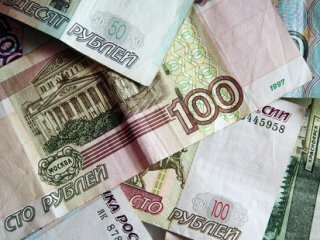 Even unpaid fines in the amount of 100 rubles is able to provide the defaulter in big trouble. Want to learn his fines from the traffic police, you can go on any stationary post of the road patrol service. Just remember to bring your driver's license and registration certificate for the vehicle. The post contact the inspectors with the request to give you your debt for fines. They will take your documents and enter their numbers into the database. There will be an answer about what the fines from traffic police you have. Can find out the fines via the Internet. Now there are plenty of sites, which can easily be determined by the size of the existing debt. However, if you want reliability, then it is best you search the data on the official government website. Such as, for example, http://www.gosuslugi.ru/. In the proposed system fields, enter the required information and receive a detailed answer to your question. You can learn and via mobile phone. To do this you just need to send an SMS message to a specific number indicating the number of his car and driver's license number. The response you will receive via SMS. Here it should be remembered that this service is paid. So try to find out about your debt from the traffic police in this way only if you really know what debt is. Learn about their fines from traffic police and through the court bailiffs ' service (though only in the case if the amount were large, the matter is brought to court). You need to either come to him in person or log on to the official website http://www.fspr.ru/. For information in this service you need to know the number of your writ. Pay your debts you can either through the Bank or via the Internet or payment terminal. And not in all cases require the receipt. Just enough information on the car and driver's license number. 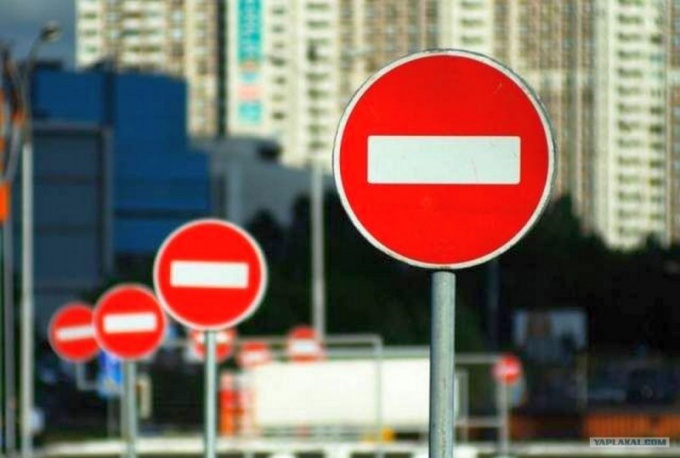 With the appearance on the Russian roads systems of control over the implementation of traffic rules, namely, surveillance cameras, unpleasant surprise were the penalties. Sometimes the slips arrive in the mail, but it also happens that he came into office, the traffic police to remove the machine from the register, the driver presenting a list of violations that he does not know. Find out about their fines in advance. Call the district office and the traffic police say the number of car and date when you drove with excessive speed under the camera. Or the day when you are stopped by an inspector and fined, but the receipt you lost. Learn about their outstanding fines on the website of the traffic police. For this complete graphs: state the car number and technical passport. The program will process the information and issue dates of the offenses and the amounts that must be paid. To pay the fines need no later than a month after a ruling, if you can initiate an administrative case. Check and pay fines through an electronic terminal. To do this, fill in your details – surname, name and patronymic, as well as registration data of the car – registration number and registration certificate. The system generates a list of fines that you can pay for. If a lot of them and you do not have all sum to pay selectively. To this end, a number chosen by the violation check. When choosing, consider the prescription of offences, pay first the ones that can be expired. In any manipulation with the car in the traffic police Department you will need to submit an application to remove or put the car on the account or pass the technical inspection. First the inspector will check that you have offenses. Ask any inspector, receiving documents for registration. He checks the computer and will print you a list of your fines. Do this before you apply, so you can save your time and nerves. On roads patrolled by the highway patrol car, equipped with systems for the verification of offences. You can find out their penalties from the duty crew. If you are stopped for verification of documents or for the violation of traffic rules, ask the inspector if you have unpaid fines. As a rule, they will gladly tell you when and how much you violated traffic rules. Very often it happens that after receiving a receipt for payment of the fineand for an administrative offense, you are in a hurry throw it in the glove compartment of his car, and then all lose sight of. And yet, the penalty to pay is necessary. How to solve this problem? For the payment of a fine for an offence without a receipt, contact any Department of Sberbank of Omsk. Explain that you need to pay a fine for a traffic violation. You will be given a special form that you fill out for the sample, specifying the required details and the amount of the fine. Then make cash money in the amount of the fine, and get the print out of the Bank teller receipt. To pay a fine and get a receipt, refer to the official website of traffic police across the Omsk region. Site address: http://55.gibdd.ru/. In the upper right corner, locate the "My fines". Going to this section, enter your details and you will be given information on unpaid penalties for the first half of 2011. Print the receipt with your fine and your signature. Now, go to any branch of Omsk Bank and pay the amount of the fine. If circumstances have developed in such a way that the receipt of a fine it has been several months, and you have not paid receipt, then the events will develop in the following manner. You will come in the mail a certified letter containing the decision of the receipt exhibited by the bailiff. Having received such a letter, contact the nearest division of Sberbank in Omsk, pay on receipt of amount of fine and penalty in the amount of ten percent. Then provide a receipt, proof of payment, to the bailiffs of the city of Omsk, where your case will be closed. If you are not able to personally visit the bailiffs, send the payment receipt by Fax: (3812) 24-48-87. Serious pay their fines and do not postpone this action indefinitely. Otherwise, the probability of attraction you to administrative responsibility and imprisonment for 15 days. Not ruled out such a measure as the deprivation of rights. After you paid the fine, keep the receipt with the stamp of payment during the year. If possible check on the road it will be a confirmation of the repayment amount of the fine. To find out whether you have unpaid finesdirectly from employees of GAI, you have to carve out free time to go to the office. If you want to get the information you need much faster, check your fines online at the official website of the State services. Information about violations in the field of traffic collected on the website www.gosuslugi.ru. To get it, you need to register. To do this, enter in the registration form your name, first name and patronymic. In separate fields, make the numbers SNILS and INN. Within a few minutes the information you provide will be checked. Enter the password for access to your personal account, confirm it by typing again the same combination of characters. Then set a secret question and answer – you'll need it to recover a forgotten password. Select the way you would like to receive a code to activate your personal account. You can use the service of postage. Write your address – you will receive a letter with the code. The time of delivery of such shipment may be more than weeks, depending on the remoteness of where you live. The second method of obtaining the activation code through the customer service point of Rostelecom. Information will be given upon presentation of a passport, INN, SNILS. By choosing the delivery option, finish the registration on the website. Write an e-mail address and optionally, phone number. Mail and phone will receive a message with a confirmation code. After receiving the activation code, enter it in the login page of the user. Then go to the home page of the state Services, select the tab for legal or physical entities. Find the category "Transport and roads", then "traffic Safety". Click on "informing of the availability of administrative violations in road traffic". The right side of the screen, look for the words "Apply". In the fields enter the registration plate of the vehicle and number of certificate of registration. During this day you will receive information about all violations and fines. In some areas this information can be obtained on the website of the local state traffic Inspectorate. Money is like the expense. Including those you have during the year spent on the payment of fines. Check repaid already paid your fines, you will be able in several different ways. Contact any Department of traffic police in order to find out all the penalties to bepaid by you in the last 12 months, repaid. Be sure to bring the receipt. confirming the payment, because neither the technical nor the human factor has not been canceled. Always check whether the fines are repaid, you will be able and online. Go to the website http://gosuslugi.ru fill out the form (name, passport number, VAT number and social security number) and sign up. Leave your home address or email address to get a key to activate their Personal account. After 2 weeks you will receive a key and putting it and also the password that you entered during registration in the relevant fields will be able to view by selecting the appropriate link, whether you paid the fines repaid. You can use the services of other sites: http://www.gibdd.ru (official website of the traffic police), http://www.moishtrafi.ru (not for all regions). Select your region, enter the required information and receive information on fines. Check whether you have paid the fines by sending a paid SMS to a short number 9112 (for any operator) with the text: the traffic police No. TA WU. You will receive a message, which will contain information about unpaid fines. View receipts, whether it is true. If you are sure that you have paid a particular fine, and I can confirm it is documented (receipts, Bank statements) and the database contains completely different information, you will have to apply to any branch of the traffic police and ask them to adjust information about your debts. To do this you need to write a letter and attach certified copies of the documents confirming the fact of payment. With the development of electronic payment systems to the population, has launched a service payment of traffic fines via the Internet. Now you do not need to go to the Bank and stand in line or even search for a nearest terminal, because the desired operation can be performed without getting up from the computer. 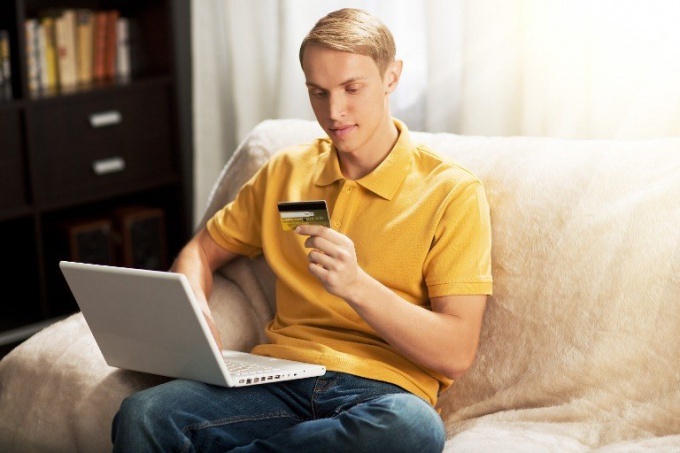 To pay traffic fines via the Internet, you must have either a Bank account can access online, or an account in one of electronic payment systems. Also suitable the expense of your mobile phone. The principle of payment in all systems is similar, the size of the fee will depend on your chosen service. For payment you may collect the following information: number and date of resolution on administrative offense, the code of the Department that issued the fine. They are listed in the resolution. 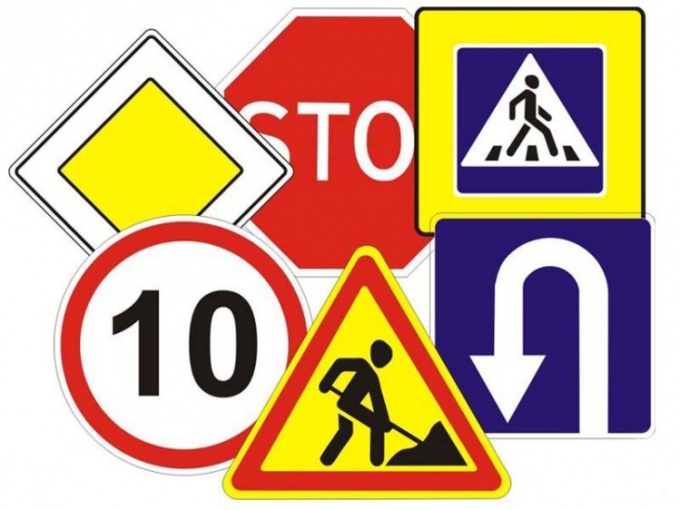 If you need to enter the details of the payee, you can always find them on the official website of the traffic police at http://www.gibdd.ru. Under "traffic" click "Contact information". On the updated page, click on "Division of DPS group on the execution of the administrative legislation". Using drop down lists in the fields, select your region and desired unit. The bottom of the page displays details for the payment of fines. Example of payment from the account of mobile phone operator MTS: login to your account by clicking on any page of the official website of MTS row-link "Entrance to personal Cabinet". Enter your phone number and password. If no password, ask by clicking the line link "Get password". Your phone number will receive a message with the password. Select in the menu the option "Easy payment". In the opened list, click on "traffic Fines". Following the instructions, enter the number of the resolution and OKATO on which the system will automatically define the payment details and fill in the required fields. Enter your contact details (surname, name, patronymic, registration address and so on). Enter the payment amount and the number of the mobile phone whose account will be debited this amount. Click on the button "Pay". By the same token, the payment of traffic fines on Yandex.Money (https://money.yandex.ru/shop.xml?scid=3040), Qiwi (https://w.qiwi.ru/payments.action?id=1973) or TeleMoney (https://telemoney.ru/pay/13/1486). Log in, complete all fields and click "Pay". If prompted, confirm the operation code sent to your mobile phone. For payment with Bank account / card, enter the personal Cabinet on the official website of your Bank and select "Payments" "Payment of fines". If no such item, you can choose payment on arbitrary details (i.e. independently specify all the data of the payment recipient). When paying by card, remember, so you can only pay a fine issued in your name as the account (card) tied specifically to you. On the basis of a system to automatically fill certain fields, correct, which is impossible. For payment of fines for other people to use the services mentioned above. Need more information about the availability of unpaid fines occur for several reasons. The vehicle owner may not be aware of the Protocol of the administrative offense, if entrusted the management of his car to another person. 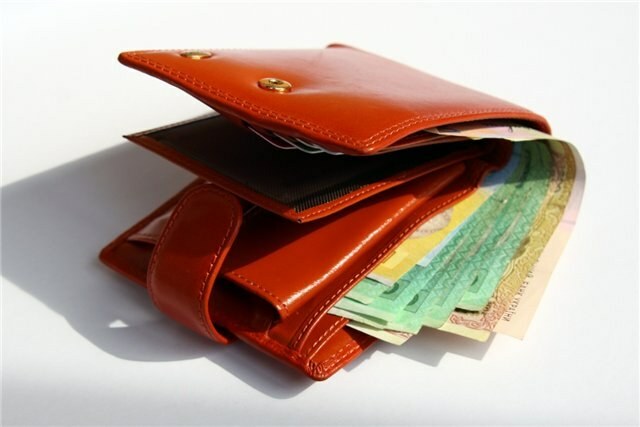 In addition, quite often people simply forget about their prescribed receipts that can be stored for months in the glove compartment or Desk drawer. Check for unpaid fines you can, without leaving home. To request need access to the Internet. On the official website of the traffic police can not only check the current outstanding fines, but also create a personal account, which will reflect the latest information. 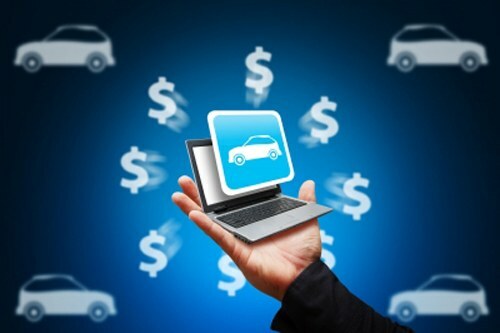 The verification services fines allow all users to pay bills, possible penalties for an administrative offence, and track information on your car. By creating a personal account in the system, you can configure specific notifications that will alert you about new fines. The same procedure can be done on the website of the Federal migration service. This service reflects not only on fines for violation of traffic rules, but also information about all types of debt. In this system, you can also create a personal account and receive notification on your email address. When using online services checking fines, please note that this should be done only at the official sites. Otherwise, you can become a victim of fraud and your payment will go to the criminals. This method of checking fines has one significant drawback. The fact that the system is at an early stage of its development, so information for some regions it is not yet available. Experts working to expand the database, so if you are unable to make a request, be sure to try again after some time. If you do not trust online services check penalties or your region is not served by this service, then the best way to inquire about debt would be to appeal to traffic police. During a visit to the staff you need to have a passport, driving licence and vehicle documents. If you are interested in more information, you can ask for help in the offices of the Federal migration service. At your request, the bailiffs will provide you with information about paid, unpaid and fines, which could significantly affect your travel abroad. Even if you are absolutely sure that you do not have fines and debts, try to periodically check this information. Especially attentive need to be car owners who often use their vehicles for temporary use friends, relatives or colleagues. The presence of unpaid fines for any traffic violation can significantly complicate the life of the car owner. So pay them better in time. As a resident of Izhevsk to know, whether after him for unpaid traffic fines? 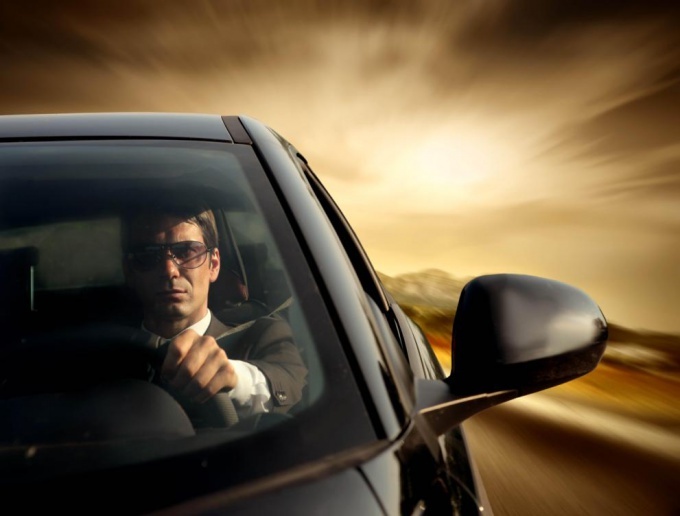 Failure to pay a fine for a traffic violation may be grounds for application to the car owner more serious sanctions, such as imposition of an obligation for payment of fines for delay or even restrict travel abroad. So if the police wrote you a ticket, it is better to pay, not shelving them. Today, however, the imposition of penalty can take place without direct participation of the owner, for example, if the violation is recorded on video. Therefore, drivers of Izhevsk it is useful to periodically check the number if they had unpaid fines. 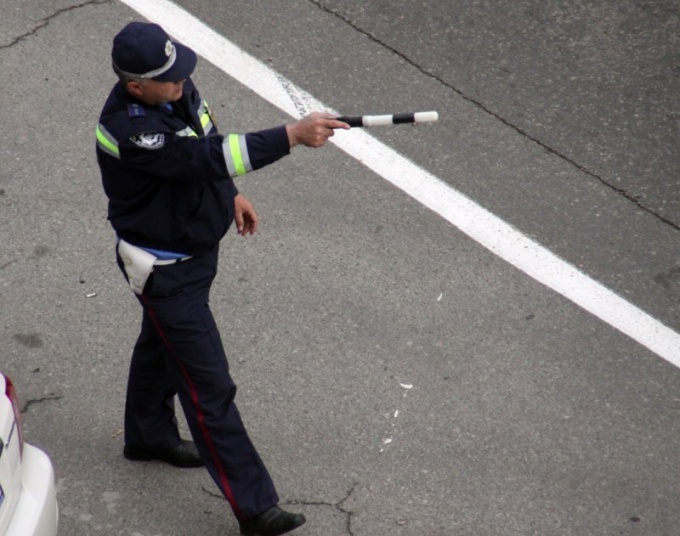 Previously, in order to find out if there are unpaid fines, a motorist living in Izhevsk, was supposed to call or personally appear at the office of the State Inspectorate of road safety. Today, this way you can still use it, but it is not so popular among drivers. The fact is that currently on the website of the state traffic Inspectorate of MIA of Russia there is a special service that allows in-line mode to identify the presence of outstanding debts on fines. Thus, obtaining the necessary information through this method takes just a few minutes. Drivers living in Izhevsk, as the inhabitants of other regions of Russia, as this capability is available. For this you need to visit the official website of the state traffic Inspectorate of MIA of Russia, where you want in the upper right corner to select the appropriate region - Udmurt Republic. The necessity of preliminary selection of the region stems from the fact that each territorial branch of the police keeps its own database, which thus is being accessed. Then, under "online services" click "Check out". Then get your documents into the machine and enter in the fields provided the required information: letters and numbers state the registration number, including area code, and the serial number of the certificate of registration of the vehicle. Please note that the letters that are present in your registration plate should be entered using the Cyrillic alphabet. In addition, for protection from robots, the portal will require the introduction of a special security code, which at the time of treatment is displayed on the screen. In just a few seconds you will receive information about whether there are in the database traffic information, whether you have unpaid fines. 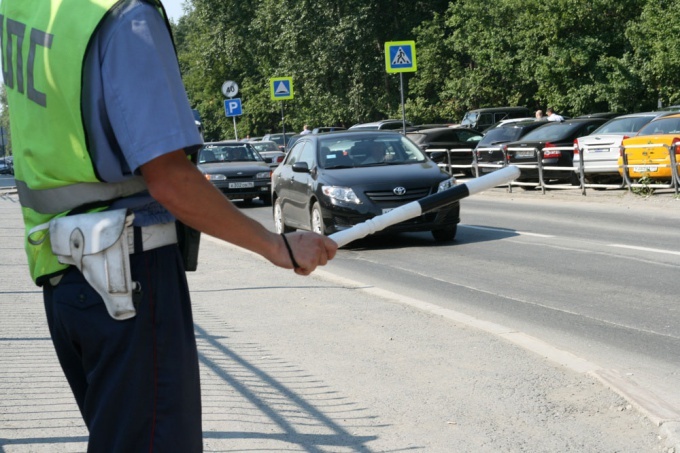 Check the availability of unpaid fines for traffic violations in Orenburg today is a matter of minutes. However, this quite simple procedure can save you from serious trouble. 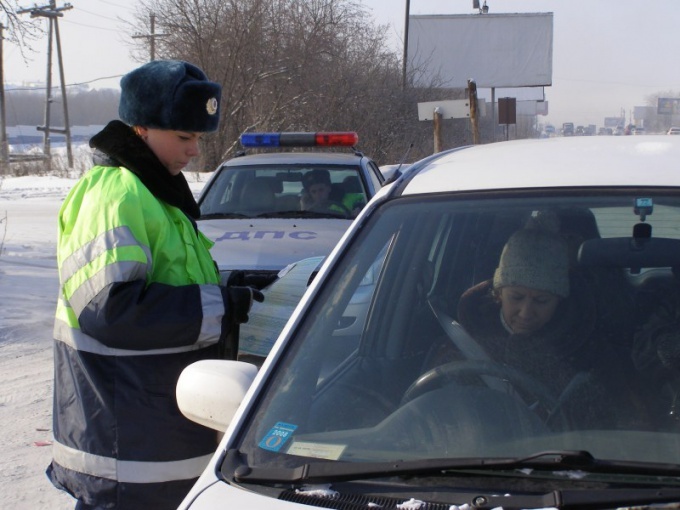 The need to check the availability of unpaid fines for violation of traffic rules from the inhabitant of Orenburg may occur fairly often: for example, he needs to sell the car, pass tech inspection or just to go on vacation abroad the Russian Federation. In all these cases, the presence of an unpaid fine is able to create significant problems, so better to make sure in this respect you are all right. How to do it? A few years ago the only reliable way of obtaining such information was a personal visit or call to the Department of traffic police, where officers, after reviewing your data, can inform whether you have unpaid fines. However, the development of technologies communication inspection with the owners today allows you to avoid contact with the staff to obtain the necessary information. Today, the traffic police offers drivers of Orenburg opportunity to independently verify the necessary data in the online mode. To carry out such a test is quite simple. The first step that you need to do is visit the official website of the state traffic Inspectorate of the interior Ministry, which shall provide this service to motorists. Going to home, pay attention to its upper right corner, which displays the region for which can be provided with the information. In case your region is different from the one that is currently connected to the portal, you must select a area that matches your location. To do this, click on the name of the region: this will lead to a complete list of the Federation, among which you can choose a proper - Orenburg oblast. After the region selection is made, go to "Check out", which is just below under the heading "online services". This will cause a transition to a page containing multiple rows that need to be filled. Thus, to obtain the necessary information you will need to remember their vehicle number and the serial number of the certificate of registration of the vehicle. In addition, you will need to enter a security code which is required to control the input of robotic requests. After entering all required information, click "Request" and check out the result of your query, which will show whether you have unpaid fines. 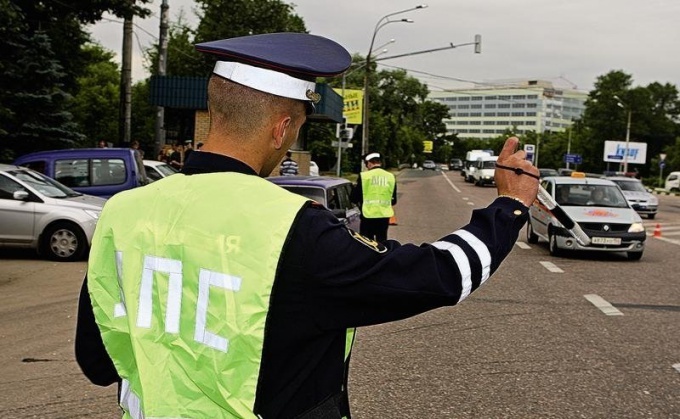 Even if you are a disciplined driver, periodically it is useful to ensure that the database of traffic police of the Penza region there is no information about the presence of unpaid fines for violation of traffic rules. To pay traffic fines if you have committed a violation of traffic rules, today is not a problem: you can contact one of the nearby banks or just use the terminal, the menu of which there is a possibility of payment of fines. But as a car owner, living in Penza, figure out the number if it was an unpaid fine? 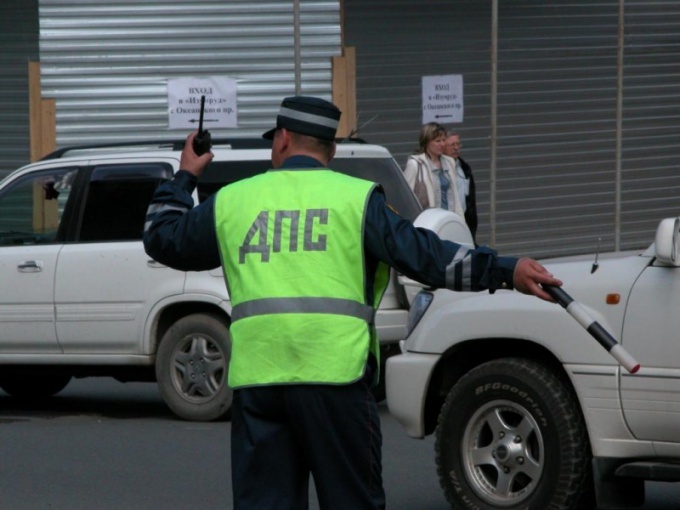 Some still believe the most reliable way to find out whether the driver for unpaid fines, a personal visit to the Department of traffic police of the Penza or at least call in this institution. Of course, this method is a good opportunity to obtain the necessary information, but it has a major drawback: it requires a fairly substantial amount of time. However, today the traffic police of Penza actively uses new technologies to increase the efficiency of communication with the owners. Therefore, in order to find out information about the presence of fines, today you can use a special online service. This method, in contrast, requires virtually no car owner time to find out necessary information: for this he will require only a few minutes. In order to find out information about the availability of an unpaid fine, the car owner, living in Penza, it is enough to visit the official website of the state traffic Inspectorate of the interior Ministry. On the main page of this website there is a special section "Online services", including and tool to ensure no fines for violation of traffic rules, which is called "Check". However, before you use this tool, you should make sure that you are connected to the information database for your region. For this you need to pay attention to the upper-right corner of the page where it displays the region to which you are connected at the moment. The portal determines your location automatically by IP address of your computer. However, it may happen that in the process of determining the error was made: in this case, you need to manually change the region by clicking on it with the left mouse button. In the list that appears you should select the Penza region, then go to the section you want is "Check". Once on the page with the form, fill in the required details: state vehicle registration number, series and number of certificate of registration of the vehicle and the security code that appears on the same page. In just a few seconds after pressing the button "Request" in a separate window you will see information about the presence or lack of unpaid fines listed in the database of traffic police. The development of modern automated means of fixing of violations of traffic rules have led to the fact that more and more drivers are wondering: perhaps they are unpaid fines? It turns out that this can be explained by the license plate, spending a few minutes. Automation of communication of the State inspection of safety of traffic affected not only the procedure of fixing of violations of traffic rules on the roads, but also in many other fields. For example, today it is possible to check, whether the driver for unpaid fines, without leaving your computer. In order to carry out such verification will require a certain amount of information about the car, which moves the driver. In particular, before sitting down at the computer with the intention to verify the existence of penalties for violation of traffic rules, we should recall the state registration number of your car and the serial number of the certificate of registration of the vehicle. These data will be required in order to obtain the desired information. After the necessary data is prepared, you can proceed directly to checkout. To do this, visit the official website of the state traffic Inspectorate of the interior Ministry, which is right on the main page offers drivers a range of services online. One of them is necessary in this case, a service called "Check". However, before you press the right button, verify that the system correctly identified your region by IP address of the computer from which you logged on to the network. If so, in the upper right corner of the home page will display the name of the Federation: this means that at the moment the portal is connected to the base of the traffic police of your region, and data that is provided by user are correct. If the display region does not correspond to reality, it needs to be changed, choosing from a list the correct area of your residence. By necessary training, you can proceed directly to checkout. To do this, go to the online service "Check" by pressing the corresponding button on the main page. When the transition is made, you will see a form which you need to enter a pre-prepared data of the state registration number of your vehicle, series and number of certificate of registration of the vehicle. In addition, you will need to enter the security code given on the same page, which serves to protect the system from robots. Subsequent pressing the button "Request" will cause a pop-up window where you will be given information about the presence or lack of fines for violation of traffic rules. Drivers violate traffic rules 8 times more likely to pedestrians – such data leads to statistics. Today the offences was committed more through the use of automatic means of fixation, i.e. security cameras. In most cases, motorists ignore the speed limits, for which he receives regular letters with receipts for payment of the fine. And how to pay, except through the savings Bank, and don't know everything. The easiest way to pay your traffic fines to go to the savings Bank there to give their blood. But this method is only possible in case, if you have on hand receipt with the details on payment. Typically, this paper comes to the violator by mail. The questions remain for those who do not live at the place of residence and, accordingly, letters not received. If the address of residence and registration of the offender vary, he needs to use the Internet. On the website of the traffic police, as well as on the website services, you can find information on the penalties. It is enough in the fields to drive their data (most often driver's license number and number of certificate on registration of the machine). The system will give you all the information and will print the required receipt. It is worth considering that the penalty payment through savings Bank has such a lack of interest for the operator. I.e. in addition to the amount of the fine you have to pay about 30 p.
To pay the fine through online banking. Large banks in their online systems have long been introduced to the field – "Payment of fines". Just go to the section indicate all required information and confirm the payment. Money withdrawals made with your Bank card. As a confirmation of the payment, the system will offer you a receipt that you will always be able to print. To pay traffic fines and using the mobile phones. To do this, the system of payment to include all information for the payment number of the resolution, the date, complete the section in the payer. After you have to choose your payment method – debit mobile phone number and confirm the transaction. The money will be written off quickly, and the penalty will be considered successfully repaid. To pay by credit card your penalty you can and on the website of the traffic police, and public services. To do this you need to go to the appropriate section, complete all required information and choose a payment method. A check will be sent to your email. Alternatively, you can pay debts through terminals Qiwi and others. Select the menu section "Payment of fines", enter all the required information and click pay. If you have the money in the account, you will be able to do it immediately. If there is no money, first they need to put. Follow the system prompts. It will not take you much time. If you leave your without payment penalty, it is likely that later you will notice that it aims to recover the bailiffs. Remember that if you have accumulated debts worth more than 10 000 p, will immediately become restricted to travel abroad of the person. To pay the fine, which is enforced through bailiffs, considered provedennoy, it will take about 10 days. Penalties apply to drivers for various offences provided for in the relevant law. It is not always possible to be completely law-abiding on the road, and many motorists regularly receive "letters of happiness". Someone forgets about the fines and not paying them, someone he did not know that was the offender. But such forgetfulness or ignorance can have a negative impact on the future of the car owner. 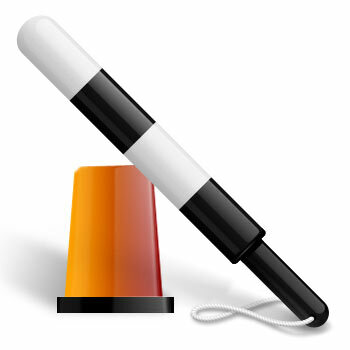 To check availability of penalties is possible, including the number of the machine. But be aware just the number of machines is not enough, there are some additional information that you will need to specify. How to learn the penalties for car number on the website of the police? The official website of "traffic police" you can use a service that will allow you to discover the forgotten fines. 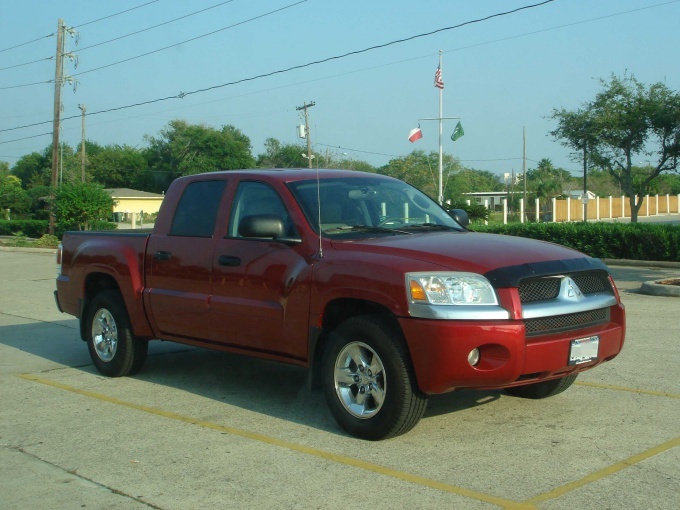 Its exact title – check the availability of unpaid fines, according to the vehicle. To learn about the penalties you will need to specify the machine number and details of your registration certificate (serial number). In addition, you will need to enter the figures in the picture. How to learn about the penalties a through public Services? If you have already passed the registration procedure on the website of public services, it is possible to use its services to search penalties. When checking penalties through public Services will need to specify the region where to register your car. Then you will be automatically redirected to the website of "traffic police" in your area. Here also you will need to enter information about your license or the number of cars. These data will be enough to learn about their fines. Plus search penalties a through public Services is the ability to pay for them.